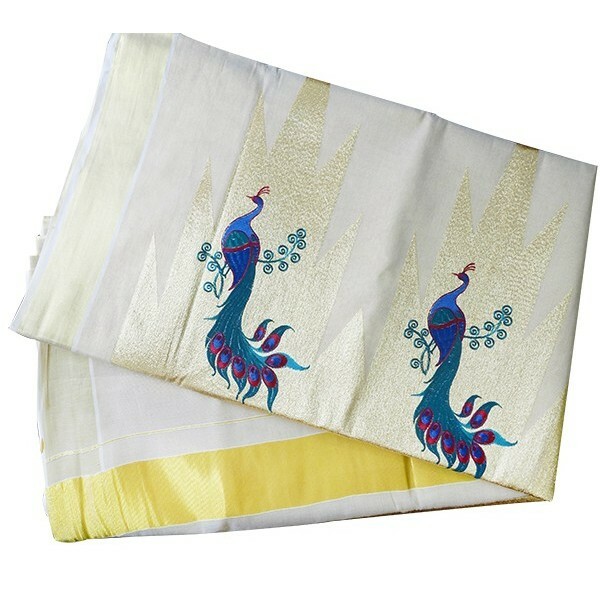 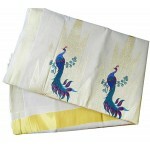 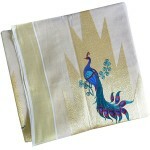 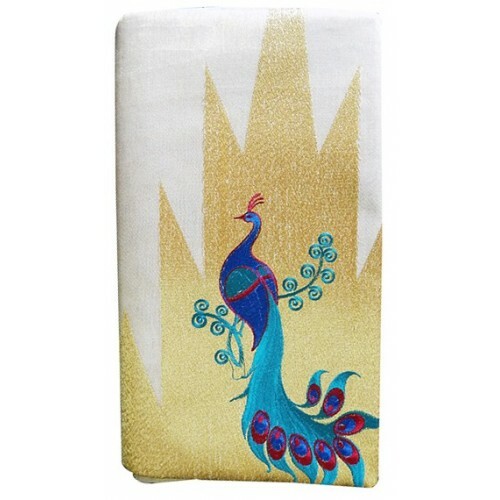 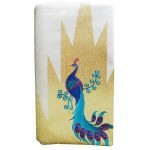 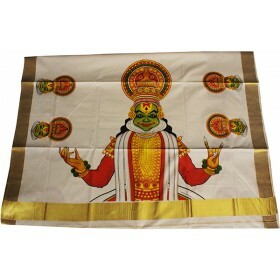 New exotic Kerala tissue settu saree having an excellent golden temple kasavu work with peacock embroidery of multi color on pallu along with golden zari is the main attraction. 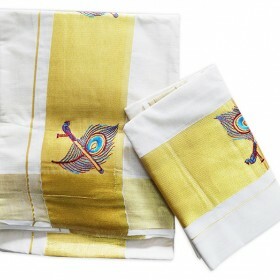 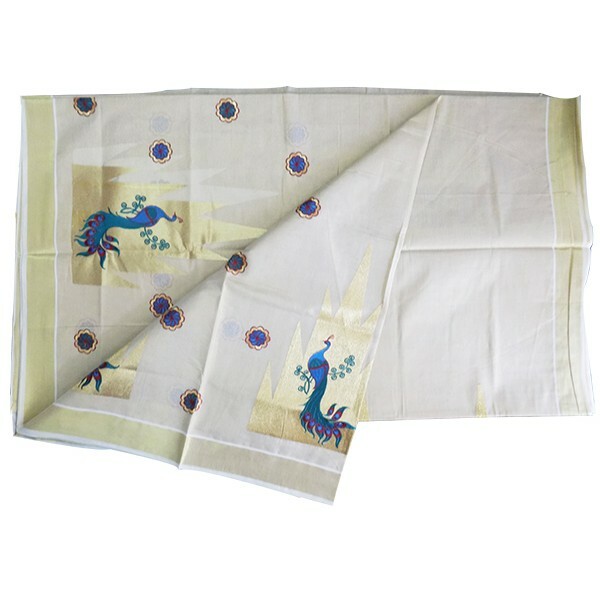 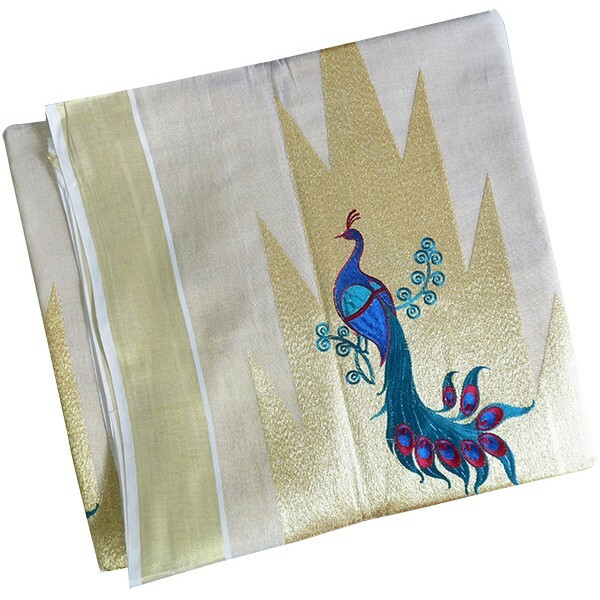 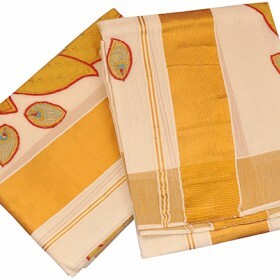 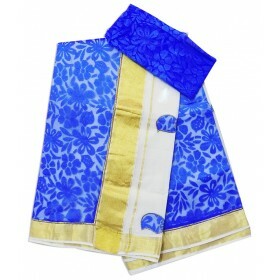 On both sides of the saree we have golden kasavu along with floral embroidery and temple design with peacock give a rich and royal look. 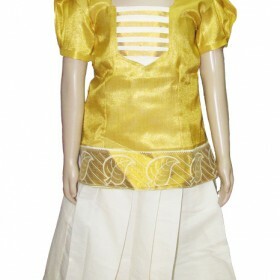 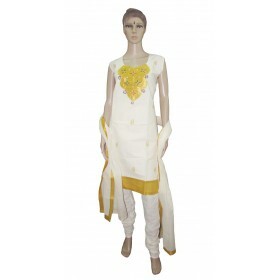 This will be a perfect matching ethnic wear for any special day like wedding, traditional function even for party too. 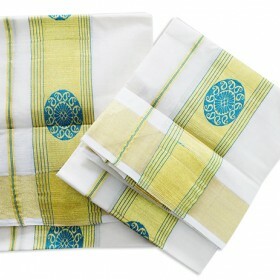 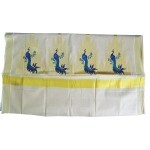 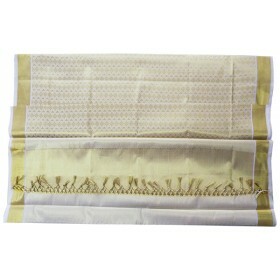 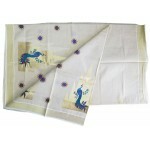 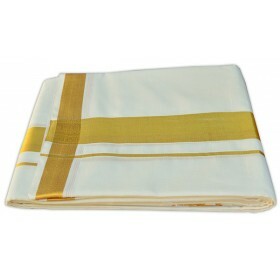 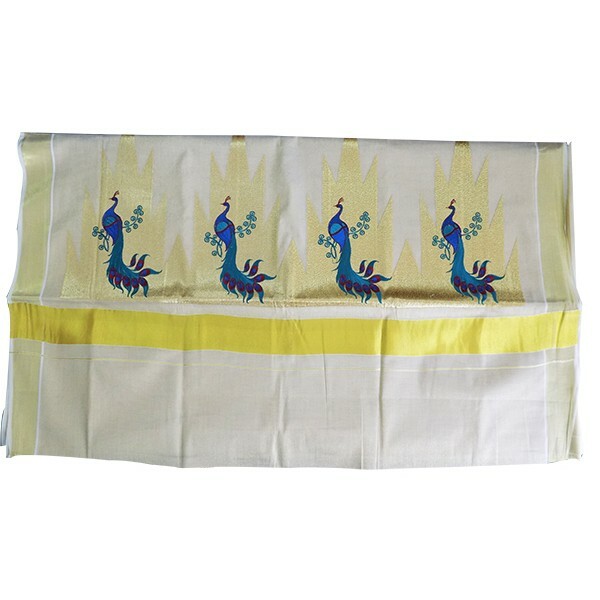 Hurry to get this exciting Kerala saree from MALABAR SHOPPING. 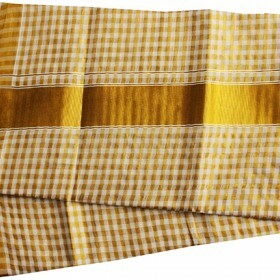 Running blouse piece is attached along.